It was a weekend spent in the garden. 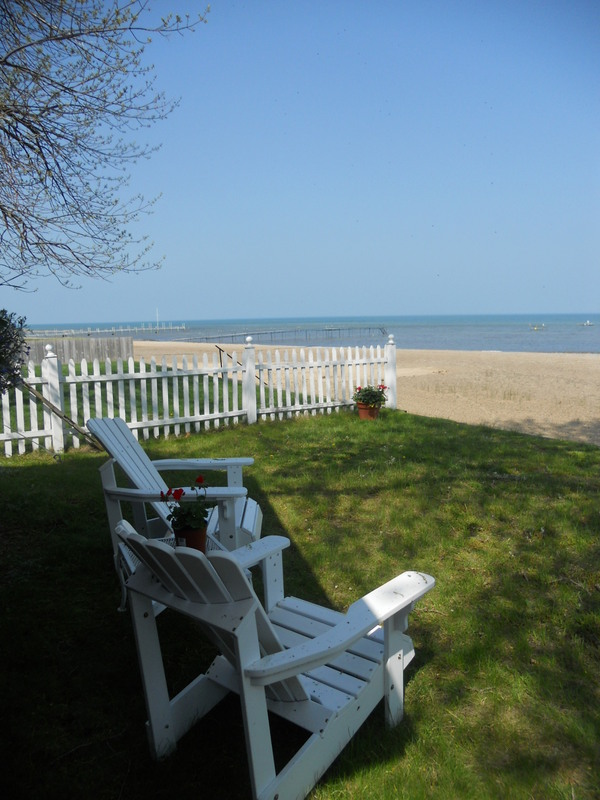 After a nonstop day at home in the yard on Friday, Craig and I headed to Port Austin Saturday morning to open the cottage for the season. This is usually something we do in late April or early May but the weather hasn’t cooperated. 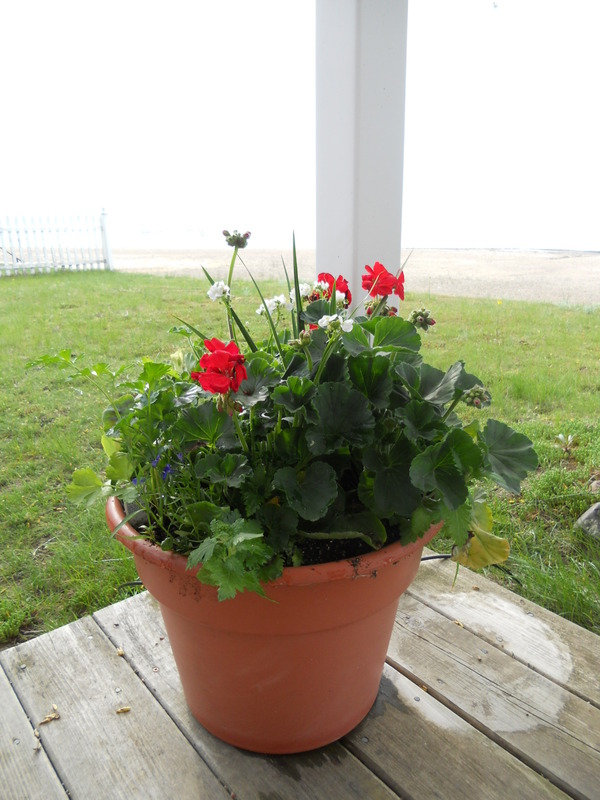 We don’t have any central heat, it’s a summer cottage and the nighttime temps have kept us away until now. 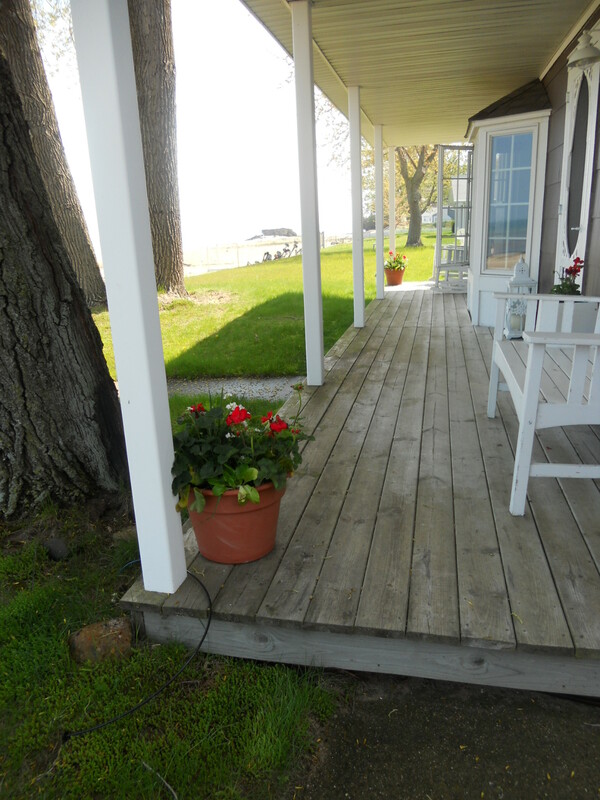 Finally, we arrived, and because it’s a bit farther north and along Lake Huron, spring is just getting started there. 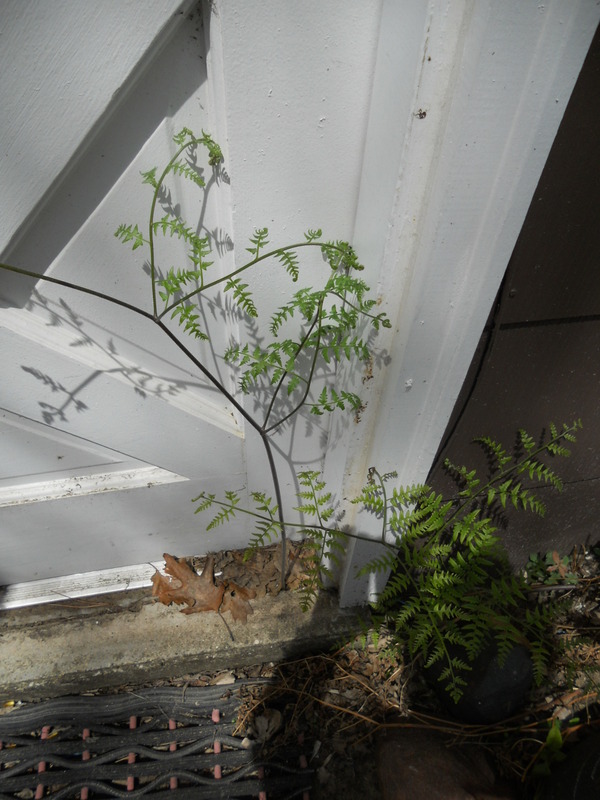 It’s always interesting to see how much sand can blow into the cottage over the winter and this year a fern had taken up residence on the sill of the back door. 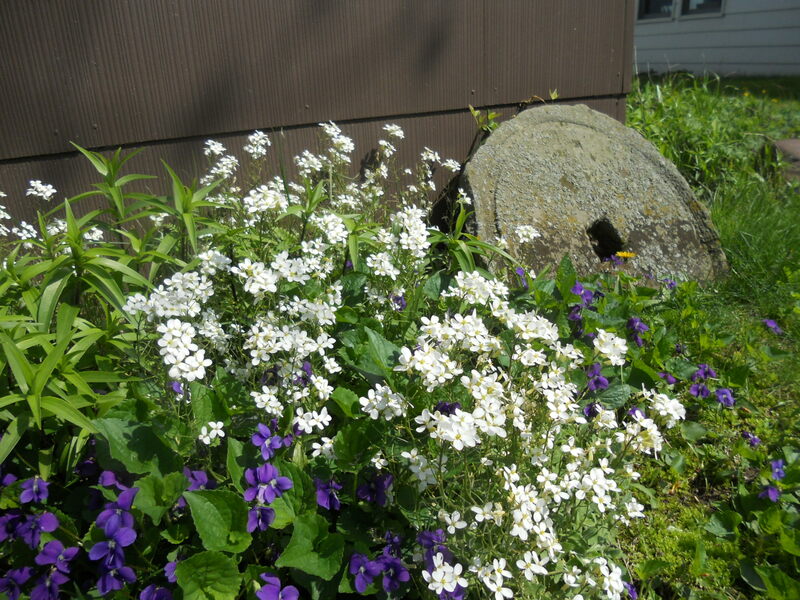 I think of violets as weeds at home, but at the cottage they are pretty. It’s definitely a more laid back place than home, so the lawn isn’t as manicured (that’s an understatement) and life is simpler. 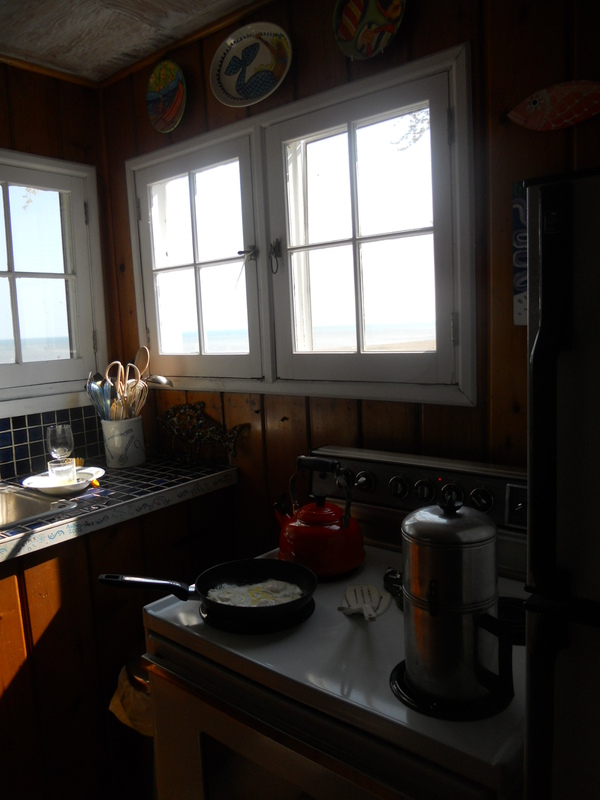 The kitchen is pretty rudimentary, no dishwasher, no fancy cooktop or ovens; but it’s hard to beat a view of Lake Huron when you’re washing the dishes. It’s always good to be back. So here’s a recipe for a quick Sunday night dinner, if you were lucky enough to make a great steak on the grill Saturday night and have some left, you’ll really enjoy this. If you don’t want to take the time to make the salad dressing, the salad is great with bottled ranch or blue cheese dressing. Blend salad dressing ingredients with hand held blender or use traditional blender. 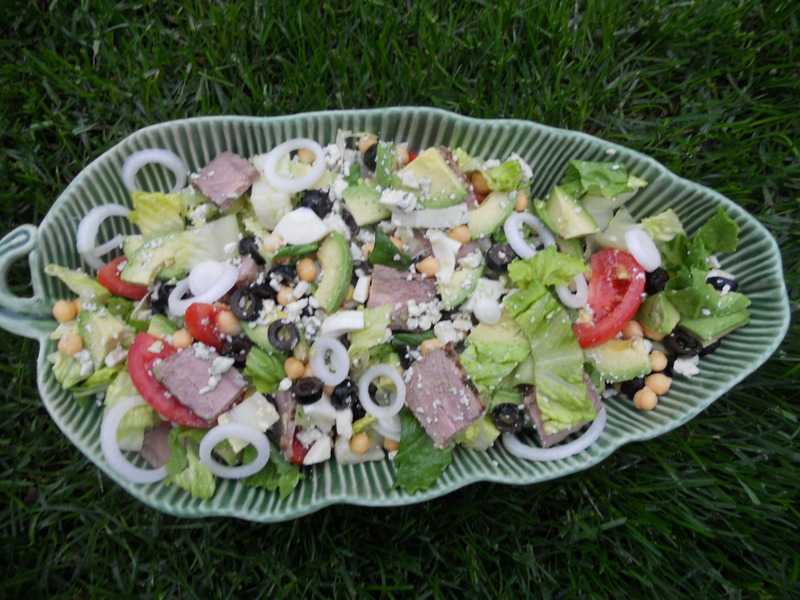 Toss dressing over salad ingredients and enjoy.